What began as nothing more than an acquaintanceship flourished into an extraordinary bond. Because the two had mutual friends, Mayra and Cole had often crossed paths. There had been an intramural softball game and the Tallahassee Memorial HealthCare Gala where he had expressed his interest in her. However, time hadn’t been on their side—Mayra was dating someone else. It wasn’t until the summer of 2016 when fate finally started to align. Mayra was selected as one of Tallahassee’s Top Singles—a local fundraising event hosted by Tallahassee Magazine. Because Cole had been a former participant, she reached out to him. The pair kept in contact, and eventually Cole asked Mayra on a date, which included a scenic boat ride down the St. Marks River, scalloping, watching one of many picturesque sunsets and a delicious meal made from their fresh catch. And the rest included many adventures, lots of happiness and love and a heartfelt proposal on the sugar sand dunes of WaterSound, Fla.
Mayra and Cole tied the knot at the gorgeous DeBarge Winery and Vineyards in Lafayette, Ga. What’s interesting about this beautiful piece of property is it’s proximity to Chattanooga, Tenn. DeBarge, known as Chattanooga’s first, and only, inner-city winery, is located 20 miles south of downtown. 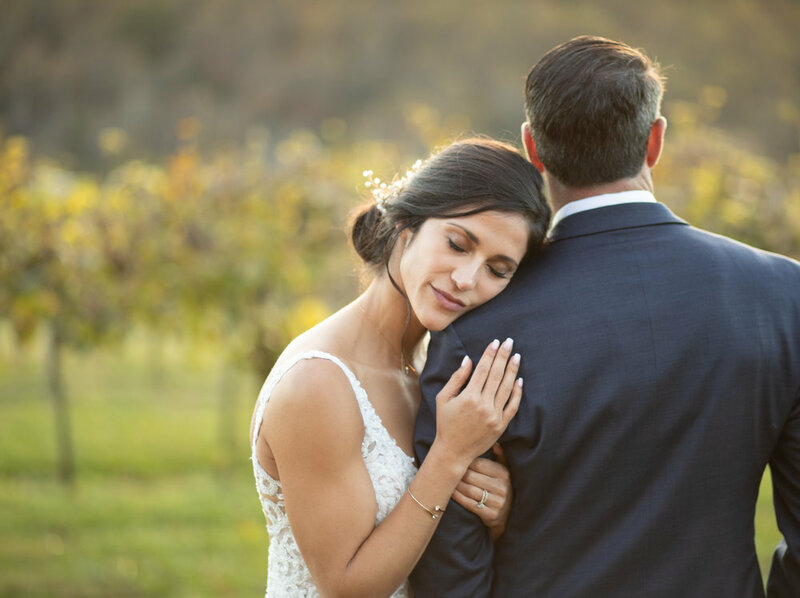 The wedding ceremony was held at the winery’s country chic outdoor pavilion overlooking Pigeon Mountain and rows of grape vines. Before the revelries commenced, we took some gorgeous snapshots of the happy couple throughout DeBarge. Fall shined in all its colorful glory, even after the sun had set. 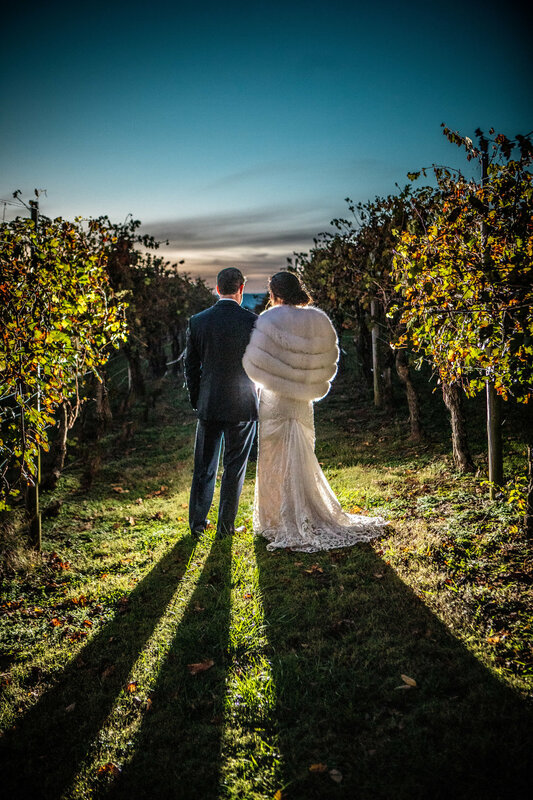 My favorite photograph was the one of Mayra and Cole strolling through the vineyard at dusk. It was the epitome of classic romance. The reception included musical offerings from The Malemen Show Band and fireworks extravaganza by Zambelli Fireworks. It was truly a magical night. Congratulations again, Mayra and Cole.